Persistent Systems, LLC (“Persistent”) today announced the release of its Upper C-Band module for the MPU5 mobile ad hoc networking (MANET) radio, which transmits and relays voice, video, text, and sensor data in a robust, peer-to-peer fashion. Unmanned aerial vehicle (UAV) operations. Persistent Systems is a leader in providing communication systems for unmanned vehicles in the defense market. With its new Upper C-Band module, it is now well-positioned to extend its product offerings deeper into the commercial markets. He adds that Persistent is currently in talks with several large industrial vehicle manufacturers, which have been looking for precisely those sorts of solutions. Certified under FCC Part 15 for unlicensed use in ISM Band, the Upper C-Band radio module provides 1W of average transmit power, the maximum permitted in the ISM band. The module also has Japan Type Certification under Article 2, Paragraph 1, Item 72 Category: RB (Unmanned Mobile Image Transmission System). Defense customers have also shown interest in the module as it provides the ability to operate in an unlicensed band, simplifying spectrum coordination. It also allows Defense customers to blend in unnoticed in large cities where 5 GHz commercial operation is quite common. Defense, International, and Licensed customers are also able to take advantage of the radio modules 4W average transmission power, where permitted. This enables extremely long range and high throughput in the 5 GHz band. 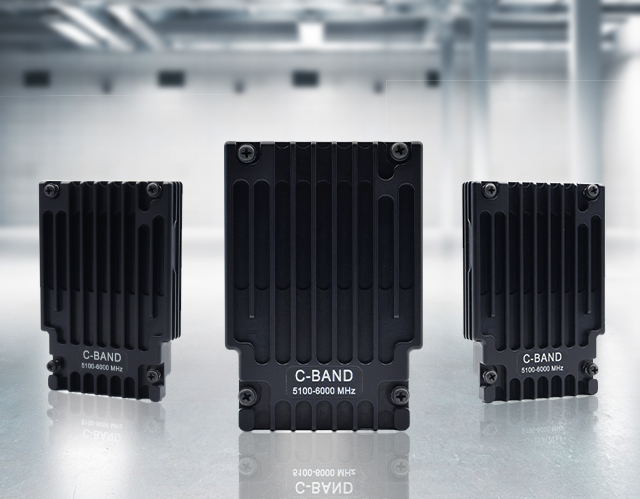 Persistent remains committed to the modular radio architecture of the MPU5 and this Upper C-Band module is the fourth frequency module offering for the MPU5 Smart Radio. Customers can be confident when purchasing MPU5 systems, that they can operate the systems legally and effectively around the world. As spectrum relations continue to evolve around the world, that their MPU5 systems can easily be moved to new frequency bands. Both frequency modularity and upgradeability are important characteristics to our customers. “We are ready to accept orders for the 5 GHz ISM radio module,” Robenhymer said.